river thames rituals | QuantumPhoenix.net – Esoterica, Paganism & Ritual Magic. 8.00pm by Seats near main door of Tate Modern Gallery (facing river). Ritual will be on river bank nearby (low tide at 21:04 so we must start ritual at 8.30pm). If you are late, come find us. Suggested donation : £3 appreciated. Thank you. On this evening, low tide is at 9.04pm. Therefore we will get down to river bank and begin ritual at 8.30pm. It takes several hours for tide to come in.. so after ritual.. if we notice the tide turning ..we still have plenty of time to pack up and go up the steps to street level. Celebrating Birthday of Goddess Isis – by Cleopatra’s Needle, London.. All welcome!! 17th July is celebrated as the Birthday of Isis (Night of the Cradle). It is when Sky Goddess Nut gives birth to Isis. And we are holding an open celebration ritual in Central London on 17th July 2013 to mark this sacred event. (part of the `Thames-Isis rituals 2013 byTamesa London Circle. see below for links). Gather at Cleopatra’s Needle, Victoria-Embankment at 7.00 pm on this day. The ceremony & social will take place at this location..which has the Obelisk that is over 2000 years old and has previous stood in Egypt, before being gifted to Great Britain in the 17th century. Time: Gather 7.00pm onwards (event ends by 8pm. we may stay and socialise afterwards). venue: Cleopatra’s needle, Victoria-Embankment (nearest tubes – Embankment.. 5 min walk). -Food & drinks to share (remember it’s a public place.. by the main road! Not sure about public consumption of alcohol. You are responsible for what you bring!). -Only flowers & milk will be offered to the Thames! The Chinese New Year decorations.. of snakes (Year of the Snake just began) reminded me of the Thames rituals,where members of the Tamesa London Circle (TLC) called upon the energies of the river Thames in it’s `Tamesa Serpent’ form. The logo of TLC is a serpent (that mirrors the shape the river Thames takes in London when viewed from above) carrying the `Moon child’ – which symbolises our inner-self being carried by the great Tamesa serpent. 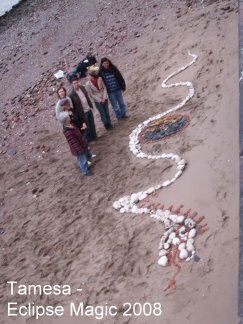 Here is a photo of the actual large `snake’ members of the Tamesa ritual team created on the banks of the river Thames for a special Eclipse Ritual back in 2008 (near central London). We used a variety of stones, pebbles, bones, old bricks, tiles and such that were found on the shores to create this colourful physical sculpture. Following that, we did a magical ritual and then simply left the image on the shores, just as the Thames tide was coming back up. The idea was that as the tide came and washed away the magical design, it would also take into itself the `thought-form’ and energies we had laid on it, and sweep the energies to the Sea! This year being the Chinese `Year of the Snake’, we plan to facilitate a similar creative Tamesa Serpent ritual by the shores of river Thames – later in the Summer months of the year. Check this blog (follow) or visit Tamesa website and opt-in with e-mail, to be kept informed of when this special Serpent ritual on the Thames will be. Meanwhile, we also have a set of 3 Thames-Isis rituals being planned (March, July, November). On Saturday 21st July 2012, the Olympic Torch came to London! That was 3-4 days ago. Since then it’s been carried by hundreds of individuals in a relay, along a clockwise direction around London, starting from the East, heading south, west, and eventually back to East part of London by 26th July. And on Friday 27th July, it will be transported (not in a relay but by vehicles) to furthest west point of London- to Hampton Court, and be carried on the Queen’s Jubilee barge..by river Thames, to Tower Bridge.. before being taken to the Olympic Stadium for official launch ceremony! This whole journey of of high esoteric interest to me. 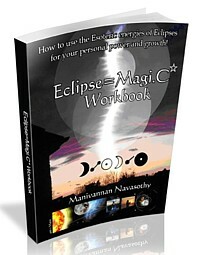 Way back in 2005, being a practitioner of Magic & Wicca, I had the idea of doing a `London-Circle’ magically. (If others had done it before then, I didn’t know about it). 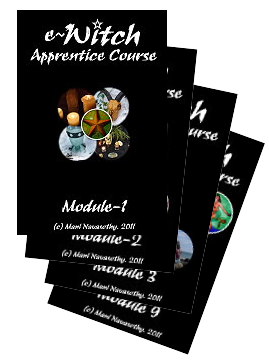 I had been interested in Earth-Magic -working with the land directly. So with the help of my partner April, and my friend Reggie, I set off to do a series of magical `circles’ around London. Take a home made Witche’s Broom, in the Circle Line (Tube network) and sat in it for a whole circuit around London. That took us about 90 minutes. It was our way of `sweeping London’ with a magic broom! Once completed, we took it straight to a PF London open ritual (Yule ritual, in early December). Trace the shape of a pentagram over London, by travelling (in public transport) from point to point, as if we were drawing a pentagram. This was easier said than done. For example, imagine travelling by shortest tube possible, from Greenwich (South-East point) to Wembley (North-west point) and so on. We started in a woods in the North London, around 10am and ended the pentagram by about 11pm that night! That was just April & me – just travelling (and having short lunch and evening meal breaks in local cafe/ pub). Finally, we got in a car, lit a consecrated candle, and took it for a drive around the whole of the M25 – starting from the Southern point, clockwise, back to the South. And at the quarter points, we got out of the car to get on the road side, and `call a quarter’ (as Pagans do in a magic circle). It was a tough act towards the end.. with the large pillar candle so full of melted liquid wax, that every shake of the car threatened to flood the candle-flame out with liquid wax. But we made it. This was done after traffic time in the evening an took about 3+ hours. It was actually New year’s eve, and the idea was to then take the candle (still lit) to Trafalgar square/ Thames side for the evening fire works/ celebrations. However, we gave that idea up, and took the incense sticks we had been burning, to central London. Earlier today, I watched the Torchbearers take it past my local area – around 2.15pm along the streets of Sutton. And the recent taking of the Olympic Torch around London in a clockwise direction reminded me of the old magical works I had done back in December of 2005. It is interesting, that the final relay of the Olympic Torch takes it along the river Thames. A flame on the water – opposite elements! The flame arrived n London on the last day of Sun in Cancer (astrological water sign and home of the Moon), and is now gong through London as the Sun travels through the first third section of Leo – a fire sign and home of the Sun! 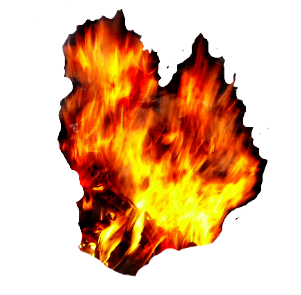 So the flame is in it’s astrological element now. Personally, am planning a few magical workings of my own.. starting with a special Flame watch social on 27th July in the morning, followed by a bit of magical working nearby..
Gaian Times magazine – Olympic special issue out on 4th August’12. Pagan Federation London ( PF London) – seasonal indoor rituals.